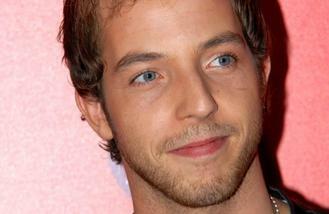 James Morrison is making a comeback. The 30-year-old singer/songwriter is set to relaunch his career four years after he released his third record 'The Awakening', having taken time out to go camping and to spend time with his daughter Elsie. He revealed: "I took a year and a half out. I spent a year just going camping, hanging out with mates and looking after my daughter." James originally shot to fame in 2006 with his debut album 'Undiscovered' which featured his hit single 'You Give Me Something' and led to him winning the Best British Male Brit Award in 2007. But the 'Broken Strings' hitmaker is now ready to return to his life as a chart-topping star following an 18-month break and has completed his fourth studio album which will be released in October. He explained: "I was in a dark place but I'm out of it now. The album is out in October and the first single in September." And the singer/songwriter has had no shortage of inspiration, penning over 75 tracks for the LP during his time out of the spotlight. He told The Sun newspaper: "I wrote 75 songs and I've picked 15 for the record."